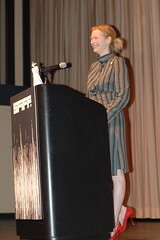 I'll pull some quotes from it later, but I wanted to let people know they can read Tilda Swinton's Saturday State of Cinema speech on sf360.org. It isn't the same as seeing and hearing her deliver part of a Robert McKee monologue from Adaptation or talk about her experience with Derek Jarmen, but it should be read by anyone interested in film (as well aspeople who aren't interested in film, but have too much influence over what we see). to Derek Jarman which she said she may have been the reason Graham Leggat invited her to give the address is also online. 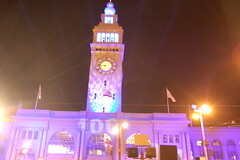 More photos of her giving the speech as well as the projections on City Hall. B Ruby Rich's 2004 State of the Cinema talk is also online (as a PDF). And Michel Ciment's 2004 speech (google cache). Photos of Brad Bird's more off-the-cuff 2005 speech. 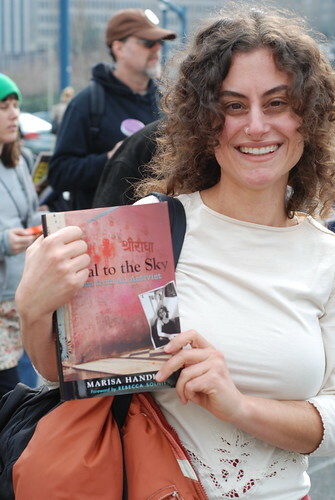 A couple of years ago I went to a tribute to Marlong riggs at UC Berkeley. I was able to get a ride back along with Sam Green (who has a short documentary in the fest) to San Francisco from Adrian Belic in his convertable. As we went over the Bay Bridge, he talked about the documentary he was working about three Vietnam Vets who deliver medicine and relief supplies to places other groups won't go to because they are too dangerous. I'll finaly be able to see it tonight. His documentary, Beyond the Call will be at the Kabuki on Sunday, April 30th at 6 pm and Thursday, May 4 at 3 pm. It is also at Tribeca in NYC. I'm just starting to listen to Neal Young's new album. Update: I'm in the Castro now waiting for the film/show to start. 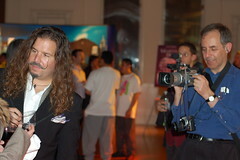 and harry smith films too! 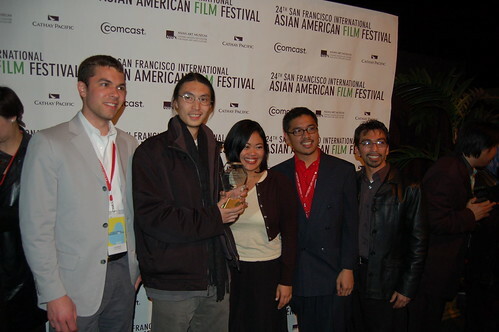 The San Francisco International Film Festival opened last night. 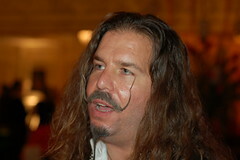 I'm one of about 20 bloggers organized by Kevin Smokler who will be covering the festival. I'll be writing more, but until then I'm posting photos (and also have photos from last year). While the most events commemorating the 1906 earthquake have passed, there are still events and exhibits. 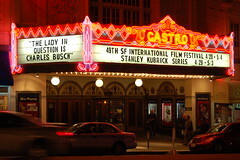 On Friday, April 21st at 8 pm Cartography of Ashes will be projected at 19th and Folsom. on Saturday and Monday. 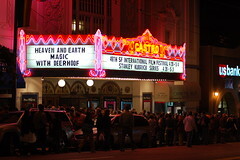 This is one of the Satellite events at the SFIFF.